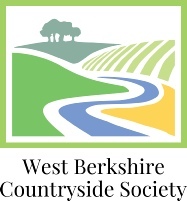 The West Berkshire Countryside Society says that "it exists to promote the understanding, appreciation and conservation of the West Berkshire countryside....."
The society was created in 2012 to combine the aims and objectives of three local conservation groups - the Pang & Kennet Valley Countryside Projects, Bucklebury Heathland Conservation Group and Pang Valley Conservation Volunteers. The website gives you details on how to become a member - only £15 a year (2017) which includes 4 copies of their newsletter ("Upstream") each year. As well as information about the volunteer groups undertaking conservation projects the website has details of local Barn Owl groups and a huge number of downloadable local walks.